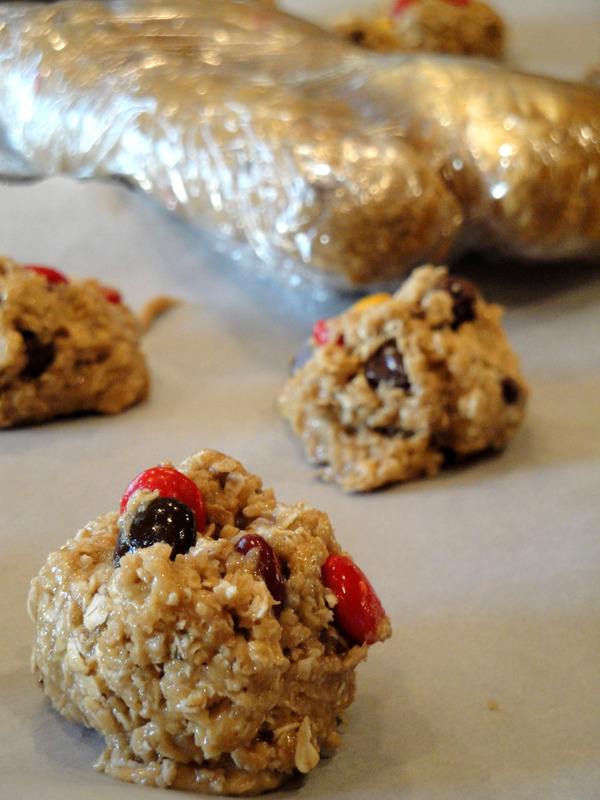 But…now that I have, these delicious treats make their way into my oven a couple times a year. With a batch of 3 dozen…I am always happy to share. In fact, with my last batch I made half and froze the rest of the dough. Little did I know that the frozen cookie dough would haunt my husband day in and day out until he finally pulled it out of the freezer and baked some up while I was away! A big thanks to Paula Deen for a great recipe. In a very large mixing bowl, combine the eggs and sugars. Mix well. Add the salt, vanilla, peanut butter, and butter. Mix well. 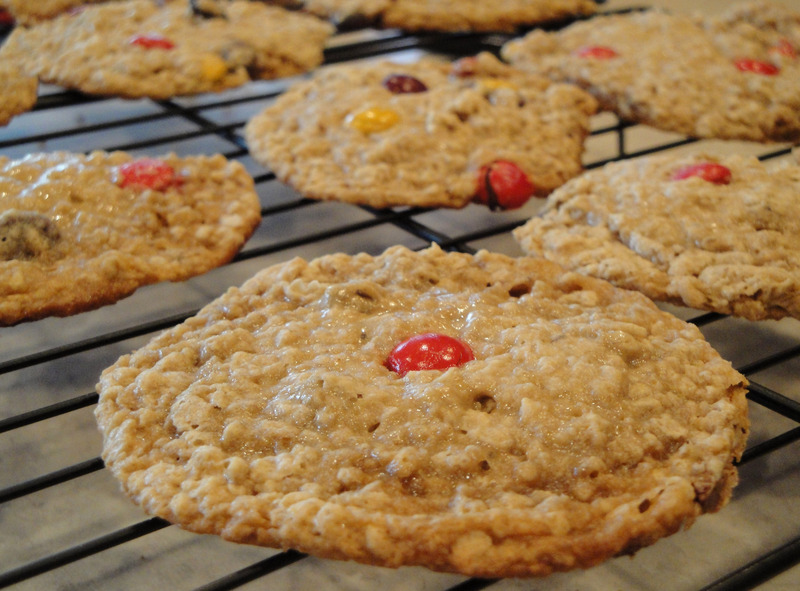 Stir in the chocolate candies, chocolate chips, raisins, if using, baking soda, and oatmeal. Now I’m totally craving Monster Cookies! 🙂 YUUUUUUUUMMMMMMmmmmmmmm!